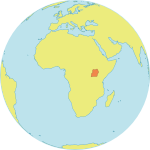 ADJUMANI, Uganda – Laura Jurua, a 26-year-old South Sudanese refugee, went into labour in the middle of the night in her temporary shelter in the Boroli refugee settlement, in Uganda’s Adjumani District. As her labour pains grew, Ms. Jurua knew she needed to get to the nearest health centre – which was over a kilometre away from the camp. Her neighbours called an ambulance. In short order, the vehicle arrived and brought her to Biira Health Centre, where she safely delivered her baby. 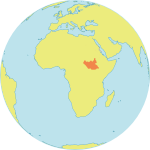 There are more than 120,000 South Sudanese refugees living in Adjumani District. Of them, over 81,000 arrived in the last year alone, fleeing across the border after armed conflict broke out in their home country in December 2013. The rapid expansion of the refugee population has strained existing health services. Many of the refugees are women and girls of reproductive age, and thousands of them are pregnant or can be expected to become pregnant while living in the settlement. 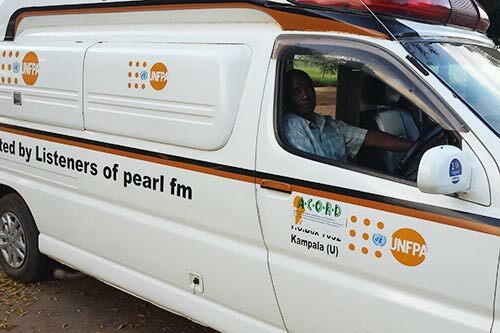 To meet their needs, UNFPA is supporting an ambulance service dedicated to delivering expectant mothers to health centres, where they can deliver under the care of a skilled birth attendant, such as a doctor, nurse or midwife. UNFPA and partners are also supporting the provision of sexual and reproductive health services. The ambulance that delivered Ms. Jurua to the health centre was driven by 56-year-old Hood Nsubuga, one of the two UNFPA-supported ambulance drivers in district. Like many ambulance drivers, Mr. Nsubuga often goes unrecognized for the life-saving work he performs every day. On busy days, he transports two to three expectant mothers to the Biira Health Centre, and when complications occur, he brings women to the Adjumani Regional Referral Hospital, a 40-minute drive from Boroli. It is a new and different life for him. 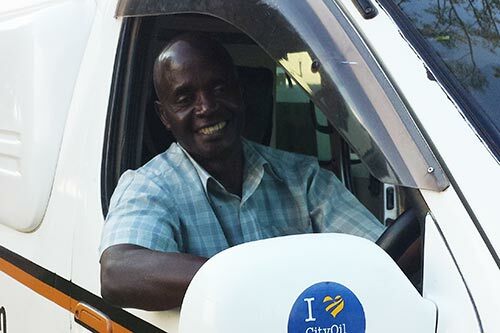 For more than 20 years, Mr. Nsubuga drove a garbage truck for the Kampala City Council. Back then, he says, he worked at his own pace because what he transported meant nothing to him. All that changed last May, when he moved to Boroli to work for ACORD, a development organization supported by UNFPA. “When I was told that I had got a job in a refugee settlement over 400 km from the city, I did not hesitate,” he said. The ambulance service has improved access to safe childbirth in Boroli, said Chris Kwikirize, a midwife at the Biira health centre. “We use the ambulance to pick up mothers who are in emergency situations. It does not matter what the distance is,” he noted. Still, he said, women have to be encouraged to seek safe deliveries in the health centre. This is because many women are unaware that giving birth at home without a skilled birth attendant could put them in jeopardy if they experience complications. Many women also delay seeking antenatal care when they learn they are pregnant, and some even delay seeking assistance when pregnancy or labour complications occur. To help improve the situation, volunteer health workers have been traveling through the refugee settlement, mapping where pregnant women live. This UNFPA-supported exercise helps reach vulnerable women with vital health services. It is also an opportunity to raise awareness of the benefits of delivering under skilled care. So far 2,647 women have been mapped and linked to the nearest health facilities to receive antenatal care. Pregnant women have also been mapped in the refugee settlements of Nyumanzi, Baratuku, Ayilo, Boroli, Alere, Olua 1, Nyumanzi and Mungula.